Only last month, militants received 19 wagons and 10 trucks with ammunition. 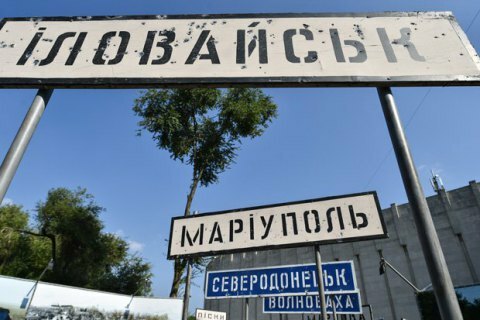 Russia since the beginning of the year has sent 104 trains and 53 convoys to Donbas, says the report published by Evhen Marchuk, the representative of Ukraine in the Tripartite Contact Group for the Settlement of the Situation in Donbas. "The Russian propaganda being hysterical over the possible transfer of US defensive weapons to Ukraine and our "pocket experts" support them. I make public a small fragment from the official materials that the Ukrainian side [in the TCG] promulgates at every working meeting," Marchuk wrote on Facebook on 8 August. The former SBU chief added that the Russian side and the OSCE are aware of the facts. In July 2017 alone, Russia provided the illegal armed formations in Donbas with 4 tanks, 7 armored combat vehicles, 4 artillery systems, 7 missile artillery units, up to 8 vehicles, 103 railway tank cars and 4 gas tank trucks with fuel, 19 cars and 10 cargo vehicles with ammunition, Marchuk's report says. During the month, Ukraine has recorded 44 facts of using unmanned aerial vehicles for reconnaissance of the territory of Ukraine and 4 instances of using RF military reconnaissance aircraft. Marchuk said that Russia denies these facts.